I first met Inyul Heo Sept 2005. We had both come to West Dean College* in Great Britain to study tapestry. She was there for one year, I for 6 weeks. 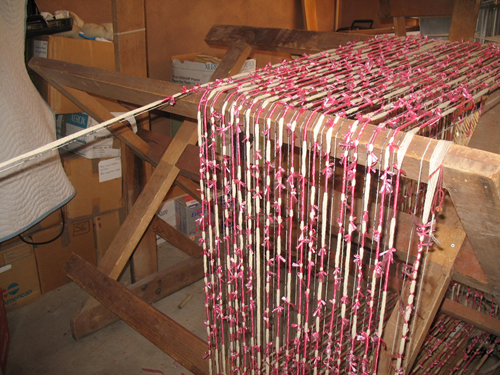 Since tapestry is not traditional in Korea, Inyul needed to come west to learn more about it. Her experience at West Dean brought Inyul to the realization that tapestry would become her life’s work. I was impressed by Inyul’s courage to study in a language she had not yet mastered. When I saw her work, I was moved by its sensitivity and beauty. With a BFA in textile design, an MA in art and design and a deep connection to nature, Inyul has managed to create tapestries that effectively express her affinity for nature. The calmness and sensitive sensibility of Inyul’s work is both moving and inspirational. In her tapestries ‘Accord’, ‘Creation’, ‘Eternal Sunrise’ and ‘Recurrence’ you see a broad view of land and water coexisting. Her desire is for people to do the same. Even Inyul’s choice in colors take on deeper meaning: brown for earth “which gives a stable and humble feeling with tolerance,” dull green for calm, and yellow for vitality and joy. Inyul’s deep religious beliefs come through most clearly in her tapestry ‘Prayer,’ These works demonstrate her skill with perspective, light and shadow as well as her skilled treatment of tonal variation. Inyul plays with dimension, both physically and optically. She works with double warps at 2 and 4 ends per cm. to highlight details in the landscapes as in ‘The Creation’ and ‘Accord’. 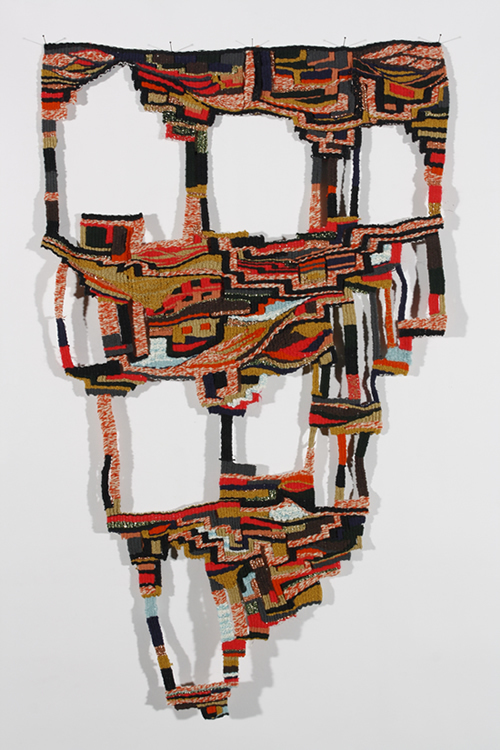 Her use of embroidery on ‘A Site’ adds dimension to break up the flat surface making one want to touch the surface. Twisted Korean paper dyed with Chinese black ink and cut in different thicknesses is employed to give subtle differences in depth of color in ‘A Day’ and ‘Prayer’. 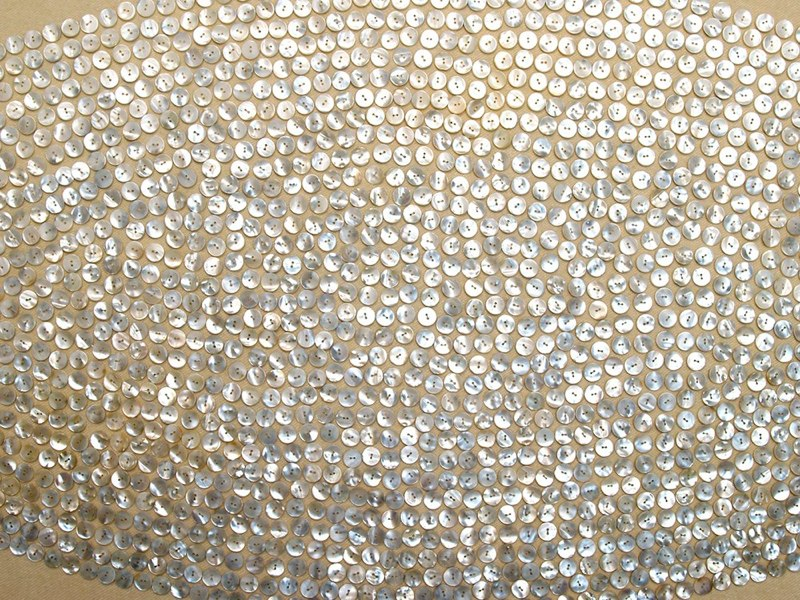 Inyul also works with what she calls ‘fancy yarns’ to achieve the effect she is after. For example: in ‘Life’ she uses silk to show the reflection of light off the sand. Inyul’s cloud series began at West Dean. At the suggestion of our tutor, Pat Taylor, Inyul went to the same place each day at the same time of day and took a photograph of the clouds, whatever the weather. 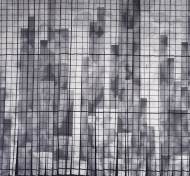 From these many photographs, she chose one image to weave on a large scale. After much sampling, ‘Wings of Dawn’, was created and became the first in her “Cloud” series. 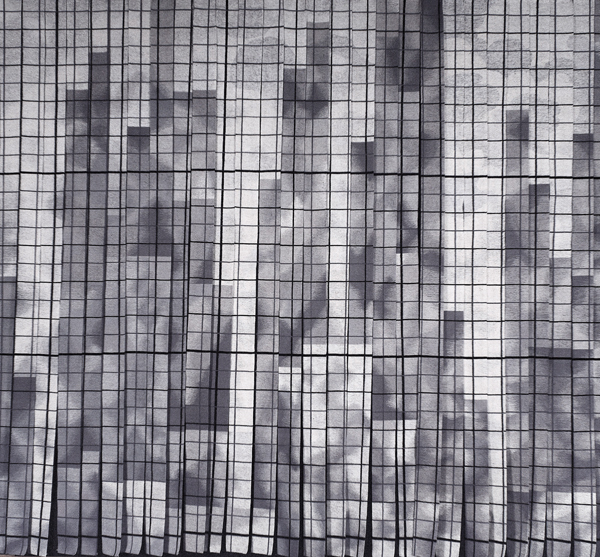 This beautiful and evocative tapestry demonstrates Inyul’s technical ability with blending. 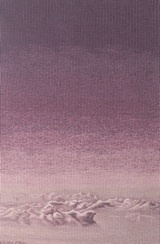 After leaving West Dean College with the knowledge that tapestry would be the focus of her life Inyul felt she had begun to develop “a poetic freedom, moving away from the literal photographic image to a free vision and more meditative approach to image making.” She went on to add to her “Cloud” series bringing more color into her sparse palette while continuing to work the surface as in Soli deo Gloria I & II where she used double and single warps for detail and texture as well as silk and wool for contrast. Inyul’s work is contemplative, alluding to the forces of nature, a metaphor of her longing for a better world. Her tapestries, steeped in metaphor and symbolism, convey her powers of observation while expressing her own cultural attitudes. Inyul’s tapestries are powerful statements. *West Dean College is located on an estate in Sussex England. There are courses specializing in tapestry, and restoration including ceramic, metal, book and musical instrument restoration. The pastoral setting is quite conducive to communing with nature. 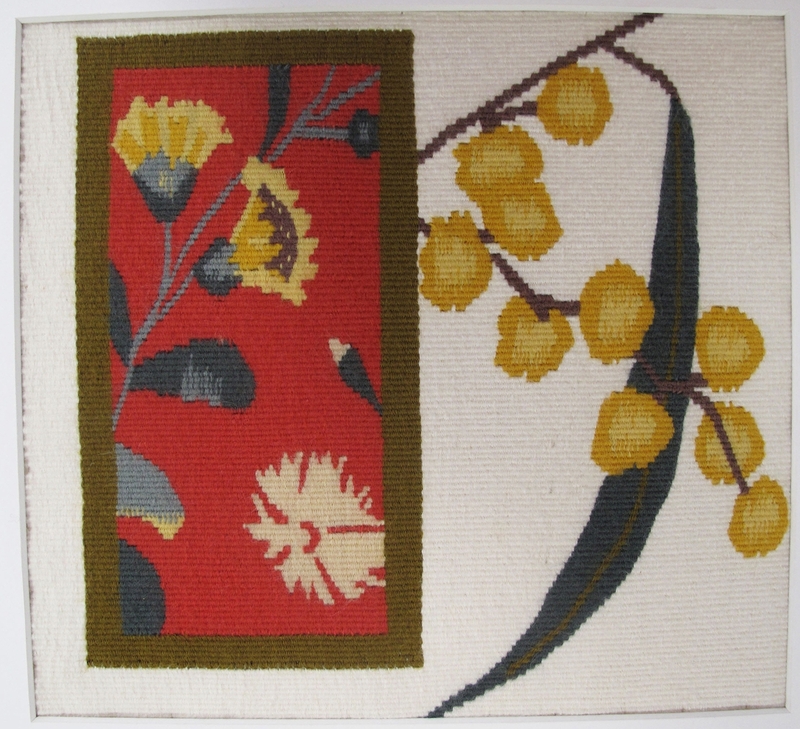 Barbara Burns began weaving in 1994, turning to tapestry in 2003. In 2005 she studied tapestry with Pat Taylor at West Dean College in England for an intensive six weeks. Burns has been working under the tutelage of Archie Brennan and Susan Maffei since 2003. Barbara Burns has exhibited extensively in the US and abroad. She is a member of The Wednesday Group, a group of actively exhibiting tapestry artists. She maintains a studio in her home in New York State and in Maine. In addition to her studio work Burns works in her family business, sails with her husband and dog Amelia, works in her garden and continues the renovation of their old house. She is a member of Tapestry Weavers in New England, American Tapestry Alliance, Canadian Tapestry Network, British Tapestry Group and on the board of trustees in a local historical society where she indulges in one of her other passions: historical costume and textiles. She studied textile conservation at The Fashion Institute of New York and attended the New York School of Interior Design.